Forts Race 2012 Results - Dart 18 scores bullseye! 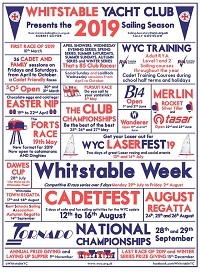 Boats from all over the UK, Ireland, and Italy joined the local Whitstable sailors in this popular long distance catamaran race. This year’s Forts Race followed the well-established pattern – apart from the wind. It was due to blow a Force 3 on both days, so to maximise chances of a good event, the Forts Race itself was planned for Saturday with Sunday available as back-up if conditions were marginal. As it happened they were marginal but with too little rather than too much wind. The Wind Farm cable-laying operation had threatened to cancel the first leg up the Swale because of its wide spider of chains across the estuary, but in the end it obligingly moved east the night before so that was one hurdle eliminated and the leg up the Swale kicked off the race at high tide. It was a beat followed by a run in Force 2 winds, where the best course was to sail down the middle of the river where wind and tide were both strongest. The second leg north to the Forts started as a tight kite reach where the wider beam of the Tornados enabled them to make good their losses against more nimble newer shorter designs of the F18s, F16s and Spitfire catamarans up the Swale. However the fleet then sailed into a hole in the wind once past Middle Sands buoy, which enabled slower cats to catch up and nullified the early leady of Sunnucks’ Marstrom Monster. When the wind did fill in, it was not a sea breeze up the Thames but unexpectedly from the North East. The Forts themselves proved a challenge with incidents at the bell buoy as competitors faced weak following winds fighting strong oncoming outgoing tide. The massive Forts themselves worsened the problem by creating wind shadow and provided WYC safety boat fleet with its only break from boredom. On the return trip competitors sailed into another wind hole off Shellness, which again allowed the slower cats to catch up. Here the sea breeze finally came to the rescue, aiding those eastwards out to sea first, but that was only briefly as the prevailing south-westerly re-established itself once the fleet re-entered the Swale estuary. This required extreme perseverance as boats abreast quickly moved hundreds of yards apart as one caught a puff in one direction while the other failed to catch anything much from another direction. Throughout, tactical skills outweighed boat speed and conservative sailing up the middle kept all options open. To the relief of sailors, ROD Stuart Offer put them out of their misery by shortening the course at the club line after six hours afloat, and close on low water. In the end victory went to the leading Dart 18 sailors, Chris Goymer and Jenni Donovan from Sheppey, whose skill in navigating their local waters of the Swale was rewarded by them being the only smaller cat to reach the first gate at the club line before it was closed. That enabled them to profit from the holes on the Forts leg and deservedly to claim the Forts trophy for the first time in a small cat. 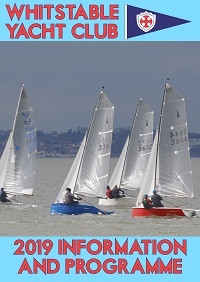 Notable WYC results were Abby Zambinski crewed by Tom Bruton Junior as the first WYC boat in a Nacra F18 Infusion, Alicia Clifford and Siobhan Lamb as the first youths in a Spitfire and Nick Dewhirst aided and abetted by Laser ghosting ace, Steve Gray in the first Tornado, sponsored by Mick Davidson.